The Boston Architectural College invites the community to join us for the 24th lecture in the Cascieri Lectureship in Humanities series featuring Blair Kamin on April 28, 2016 at 6 pm in Cascieri Hall. 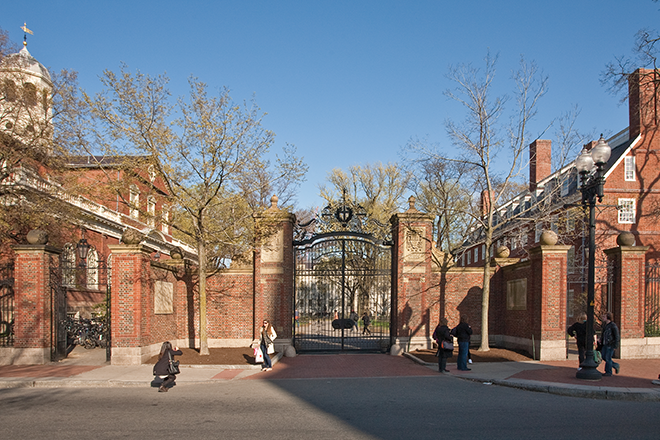 As a Nieman Fellow at Harvard in 2012-13, Pulitzer Prize-winning Chicago Tribune architecture critic Blair Kamin was intrigued by the 25 gates that frame Harvard Yard-and by the way gates around the world and throughout history have been both instruments of control and symbols of the identities and visions of their builders. That interest led to a new book, Gates of Harvard Yard, published by Princeton Architectural Press, and to the view that gates can be something other than ugly symbols of exclusion. 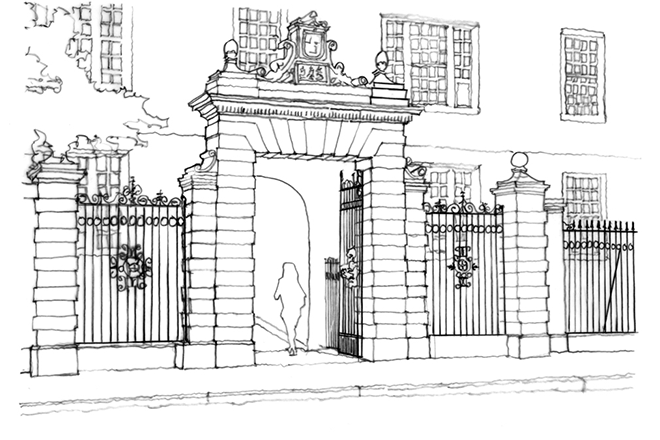 In this lecture, Kamin will explore the lore and legacy of Harvard's gates, as well as the way gates delineate space and mark elemental transitions--between ignorance and wisdom, freedom and captivity, life and death. 1 HSW CEU credit is available to attendees of this lecture. 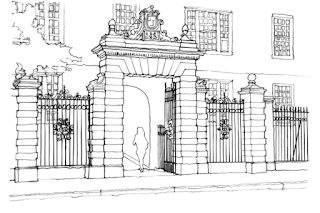 In Gates of Harvard Yard (Princeton Architectural Press, May 3), Kamin and his co-authors reveal for the first time the complete story of the gates. In the process, they shed light on the way these portals bring an inviting scale and harmony to Harvard's imposing, eclectic architectural ensemble. The book simultaneously brings alive the human story behind the gates, whose patrons ranged from U.S. ambassadors to classes of Harvard alumni to a mother who sought to memorialize a son whose life was cut short...learn more. The Dean Arcangelo Cascieri Lectureship in the Humanities was established by the BAC Alumni Association in 1992 to honor the spirit of volunteerism. Each year, the BAC invites a distinguished speaker to present a public lecture on the many ways in which architecture and design interact with other disciplines, an enrich our common life. It is thanks to our volunteers, as well as the donors and sponsors who contribute so generously to the Cascieri Lectureship Fund, that the lectureship is made possible.